ADHRB is pleased to announce a new program by which it works with victims to counter Bahrain’s use of INTERPOL red notices. 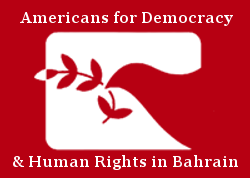 The Government of Bahrain has for the last several years abused the INTERPOL red notice system in order to harass human rights defenders and political activists living abroad as well as obtain the extradition of politically exiled persons in order to punish them with prison sentences and other forms of abuse in Bahrain. ADHRB understands that the government has thus far accomplished at least three of these extraditions and attempted one further, and that upon arriving in Bahrain at least one victim was disappeared and tortured by the government for a period of several weeks. ADHRB has been working on this issue for some time, and was recently made aware that INTERPOL maintains a process by which a person that has a presence in INTERPOL’s files can be made aware of the contents of those files and subsequently challenge any erroneous information contained therein. Beginning the process is relatively straightforward, requiring only a letter from the person requesting access to their INTERPOL file. INTERPOL is required in its statutes to provide such information to any person making such a request as expeditiously as possible. If you are a victim targeted with an INTERPOL red notice by the Bahraini government, we want to help. Below you will find a letter that ADHRB has put together for victims of Bahraini red notices, as well as an accompanying form that INTERPOL requires be filled out. If you’re interested in working with us, please complete both of these documents and mail them, as well as a copy of your identity document, directly to INTERPOL, at the address provided in the letter. We have provided for you an Arabic translation of the form; please fill out the Arabic and English forms, as well as the Arabic and English letters, and send them to INTERPOL. INTERPOL will then send the information stored in your file to ADHRB, after which we will analyze the file and work with you to remove any information falsely provided by the Government of Bahrain. You may contact us at INTERPOLComplaints@adhrb.org. We’ll be happy to answer any questions you might have. Click here for a PDF of the victim letter; here for a PDF of the required INTERPOL form; here for an explanation of the request; and here for a blank Arabic request form to complete. Please fill out everything but the explanation form.